Set of 5 ball point sewing machine needles in a beautiful, practical packaging-case easy open & close, in size 11(80). 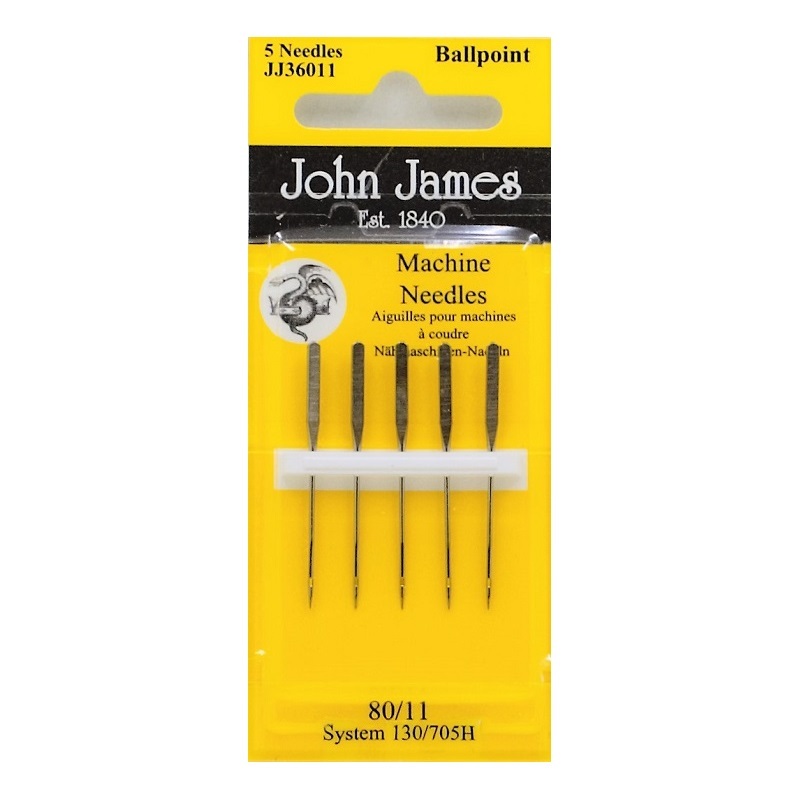 Ballpoint machine sewing needles are ideal for use on jersey, stretch and synthetic fabrics. Size 11(80) is suitable for medium fabrics. * Sewing machine needles are designed for the majority of domestic regular sewing machines by: Singer, Husqvarna Janome, Pfaff, Brother, Elna, Baby Lock, Toyota, Silver and many more. Please check your exact requirements to ensure your sewing machine needles will fit your specific sewing machine. Sewing Machine Needles – Ball Point 80/11 – In a beautiful, practical packaging-case easy open & close!